stuck in your own yesterday?! i have now blogged twice about the adam curtis v massive attack experience - and everything is going according to plan and manage the world or change the world. here's no 3! adam curtis and robert del naja were interviewed last night on bbc 6music by mary anne hobbs. the full interview was aired on stuart maconie's freak zone. it will be up on iplayer for the week and begins at about 44mins in. parts of it were also aired on mary anne hobbs breakfast shows on sat and sun. one of the questions mary anne hobbs asks adam curtis is are we really free? in response he suggests that the issue he is trying to explore in the film is how power works, how it pervades our lives - not just through westminster but through popular culture. one of the examples he gives is the feedback loops that are going on around us all the time thorugh computers - you like this so you'll like that. we've probably got so used to it now that we don't think about it. we're continually being given what we liked yesterday. he suggests that the idea of the film/experience was to pull back like a helicopter to enable people to stop and see this static managed world (what he calls the pervasive ideology of our time). and he then muses whether we are really free?.. 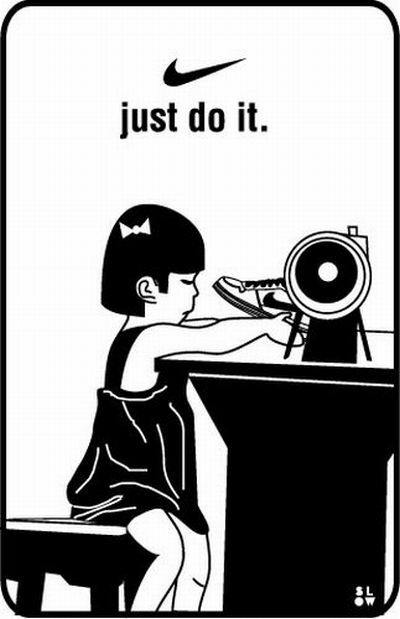 we're free to have what they think you like. is that freedom? it's a kind of static or limited freedom where you are stuck in your own yesterday! i thought this was such a good line - stuck in your own yesterday. it's back to the previous post in some ways - with this approach to reality ideas and possibilities that are new will never emerge - they will be perceived as risky, unprovable, unmeasurable, and a threat. yet when we are stuck precisely what we need is this genuine kind of newness. manage the world or change the world? "we have opted to manage the world rather than change the world"
what an extraordinary insight! i think this is true in many businesses, lots of the social/charity sector and the church. we elevate managers and prefer and feel safer with them than visionaries and dreamers in top leadership positions. this may be because of fear of money, the future or simply we want to feel we can control things as best we can. and i also think it is also a really bad habit. shoot me down on this or tell me it's not true - but i am now seeing it everywhere where last week i was used to business as usual! "the future is full of POSSIBILITY"
"YOU CAN MAKE ANYTHING HAPPEN"
"YOU CAN CHANGE THE WORLD"
i took part in a conference in austin in the run up to sxsw interactive exploring mobilefaith - how faith and practice can be animated, supported and enlivened with mobile technologies. it's a great question and always interesting to see how new media change a lot more than we initially expect. the highlight of the day ended up being texan bbq at rudy's after it was all over to unpack all the talks and talk about these changes more. we ended up discussing education, politics and religion in the new environment for quite some time! i was last on and felt people had been sitting for a very long time but if anyone was there (or not) and is interested in the slides they are on slideshare here. i used some of the ideas i explored a while back in digimission if anyone remembers that. it was great to bump into paul soupiset again. he was sketchbooking notes which are simple but delightful. i was also very pleased to see radiohead on the schedule when it came through!!! 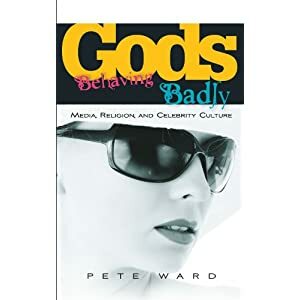 Whilst many people might dismiss the culture's obsession with celebrity as trivial or trashy, Pete Ward typically dives in and gets under the skin of the ubiquitous presence of celebrities in our culture. Uniquely and creatively wearing the lenses of both cultural studies and theology he suggests that the conversation about celebrity is at its heart a conversation about the possible self - who am I and who do I aspire to be? Madonna, Paris Hilton, Tiger Woods, Princess Di and Michael Jackson turn out not to (just) be trashy but to be an arena in which contested notions of what it means to be human are being negotiated. Ward suggests that theological language and themes are at play in the conversation but transcendence has collapsed into the self - a sure sign that notions of the sacred are shifting. This kind of reflecting on and listening in depth to the flow of meanings in popular culture is wonderfully refreshing. one of the ideas i like a lot in the book is what pete calls the para-religious. by that he means that while religious language and imagery and myth is at play in popular culture it's not really religion as we know it but is a kind of religion, often ambiguous and where the transcendent seems to have pretty much collapsed. pete ward gives a preview of his thinking on celebrity as a kind of religion - book to follow in the new year. the mission challenge he suggests isn't so much to read off christian doctrine but to engage with how meaning is created and flows in popular culture. What is Social Media, why is it here and why is it important? stephen fry gives the most optimistic view of the ipad. i hope he's right. the planet is certainly a better place with apple on it! what i like is the idea of things that change the rules of the game which certainly the iphone did. equally iplayer has changed the rules of the game for watching television and listening to radio (along with tvcatchup). 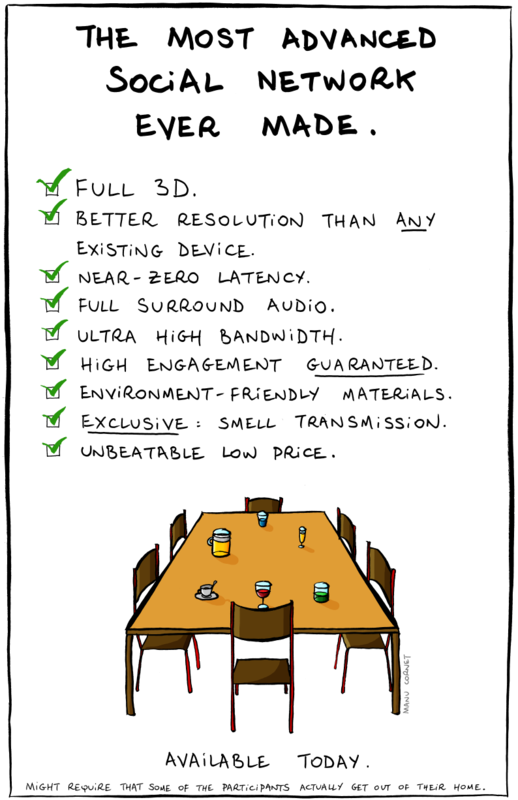 or the new digital cameras such as the 5dmkii has changed the rules of the game in movie making . what will change the rules of the game in christianity i wonder? The onslaught of mobile technologies and social media addiction is sucking up our attention in the virtual world while we are attempting to do other things in real life at the same time, and it is getting a little out of hand. so we were talking about this in the pub - tim, steve, adam and i - and reflecting how magazines have a different edge to books. they often connect with movements. they are cheaper. they are somehow more transient, catching a moment. they can hold a range of perspectives together even opposing opinions, you can dip in and out, you can like some pieces or writers and ignore others, they can hang around on the kitchen table for anyone to pick up. that's not to say that books aren't good. i'm a big fan too - but the genre is different. i think generate captures the spirit of the emergent conversation as well as anything i have seen come out of the US in recent years. it has a different tone. there's lots of speculation about the movement out there in the blogosphere at the moment - is it dead, is it maturing, is it just beginning?... but this is evidence that there's plenty of energy and good and creative people around honestly working out what it means to follow christ in these times. the strapline for the magazine or at least this month's is an artifact of the emergence conversation. this led us to an interesting discussion on the difference between artifact and artefact - turns out they both are alternative spellings of something made or given shape by humans. but steve pointed out that artifact is also a term for a glitch in digital media such as a jpg image. this is a wonderful unintentional double meaning in the strapline - see this article for examples of design accidents as sources of inspiration. now there's a feature for a future issue! go and subscribe to this artifact. achievements - i have finished the manuscript for the curating worship book (sent off on 31 dec - yay! hopefully out by greenbelt). it's probably not the most significant but is in my mind because it's recent! today i am one of several speakers at digimission - an EA gathering reflecting on mission and digital culture. it's from 11-3 at st pauls church, robert adam street w1u . i think it's being broadcast/streamed here and the twitter hash tag is #digimission. ...This world of flow, of streams, contains a very different possibility set to the world of pages. Among other things it changes how we perceive needs. Overload isnt a problem anymore since we have no choice but to acknowledge that we cant wade through all this information. This isnt an inbox we have to empty, or a page we have to get to the bottom of — its a flow of data that we can dip into at will but we cant attempt to gain an all encompassing view of it. I have done a series of three posts so far in relation to Clay Shirky's book Here Comes Everybody. I have also taught on small world and networks for our CMS team and this has catalysed a lot of reaction and discussion which has been great. In the comments on the last post small worlds there is a brief discussion around what this means in relation to the catholicity of the church - or put another way the need to be connected in to the wider church. So this part four isn't directly in relation to the book but is sparked off this series. In respsonse to Ben and Steve's comments I have had a go at an improvised reworking of 1 Corinthians 12:12-end - the Network of Christ. Just as a network, though one, has many small worlds, but all its parts interconnect, so it is with Christ. For we were all baptised by one Spirit and given a portal into the wider network of Christ - whether Orthodox, Emerging, Missional, New Monastic, Catholic, Anglican, Post-denomnational, Pentecostal, Baptist, Ana-baptist etc or any blend of the above the Spirit flows through our networks. So the network of Christ is not made up of one small world but of many interconnected small worlds and hubs. If the Australian missional communities should say 'because I am not focused on worship I don't connect into the wider network' it would not cease to be part of the global network of Christ. And if the French Catholic church should say 'because I can't feasibly imagine homogeneous missional church planting I don't belong to the wider network it wouldn't cease to be part of the global network of Christ either. If the whole network lived in the small world of Alternative Worship where would the growth of African churches be? If the whole network lived in the Anglican small world where would the prophetic passion for justice of the anabaptists be? But in fact in the network of Christ God has catalysed and flows in lots of small worlds just as God wills. And the network is such that the Spirit creates an environment where She flows and small worlds emerge as the Spirit beckons the network into the future. If there were just one small world with no external connectors where would the network be? The redemptive gifts that the Spirit has distributed throughout the wider network of Christ would not flow. They would remain static. So don't let the small world of which you are a part ever say 'I don't need you' to another small world and don't despise the gift of external connection. To be in Christ is to connect to Christ and to participate in the Network of Christ where the Spirit flows. And be careful that you don't just notice the hubs that seem important or powerful or branded and neglect the weaker or less connected small worlds. God flows in these parts, distributes gifts there and has a special love for them. And the small world in which you mostly participate is most likely to be energisd by connection to other small worlds which are the most different to you so don't be tempted to just connect to others who seem like you. You are the network of Christ and each one of you is connected and participates. And the Spirit flows in and through you and has distributed different kinds of gifts and roles - pioneers, catalysts, networkers, artists, mission leaders, loyal radicals, local practitioners, environmentalists, guardians of flow. Are all external connectors? Are all local practitioners? But eagerly desire the greater gifts to flow throughout the network of Christ. I am making this piece worship trick 43, series 3.